We use Hermann Oak leather on all of our belts, using this high quality leather will give you years of wear. 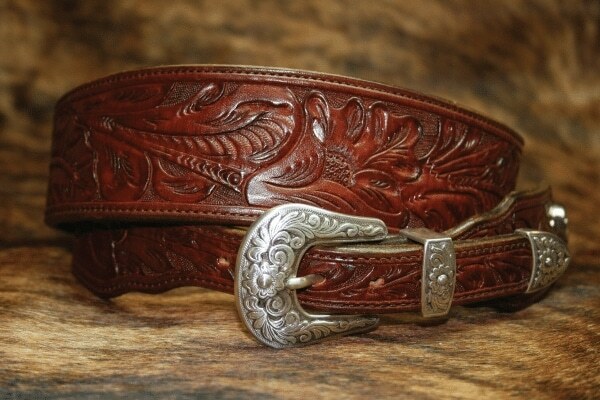 Each belt is given the special touch of a stitch grove which allows the stitching to be pulled down deep into the leather preventing stitching damage. 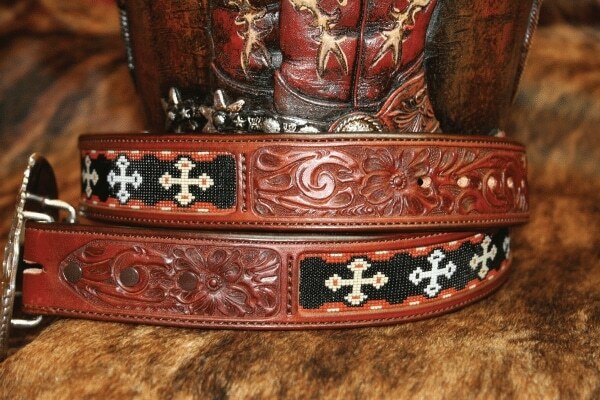 Hermann Oak leather is the only leather we use on all our dog collars. Stainless Steel buckle sets (with a keeper) are also used giving you the needed strength and also will never rust. 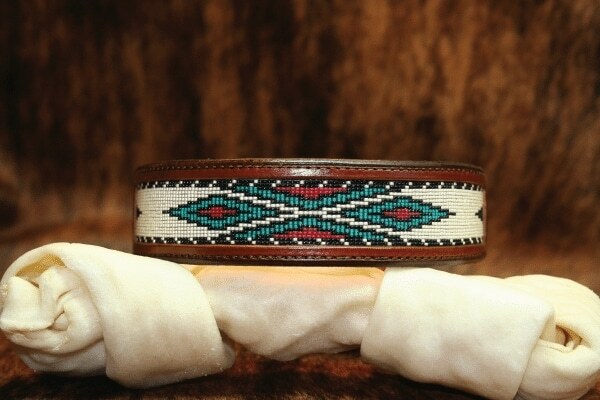 Each collar is given the special touch of a edge stamping next to the stitching for added beauty.